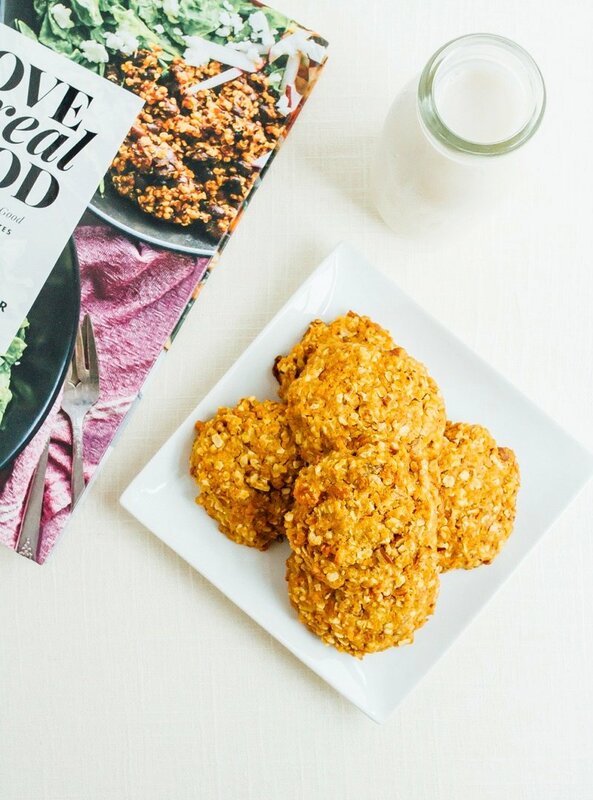 Eat cookies for breakfast with this simple recipe for carrot cake breakfast cookies! 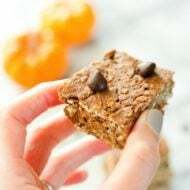 Loaded with whole grain oats, carrots and nuts for a filling and hearty on-the-go breakfast option. I don’t know why, but I’ve been obsessed with the idea of carrot cake cookies for a couple years now. I specifically remember having the most amazing carrot cake cookie at the Union Square Greenmarket on a trip to New York. The whole weekend I couldn’t stop thinking about coming home to recreate the recipe. 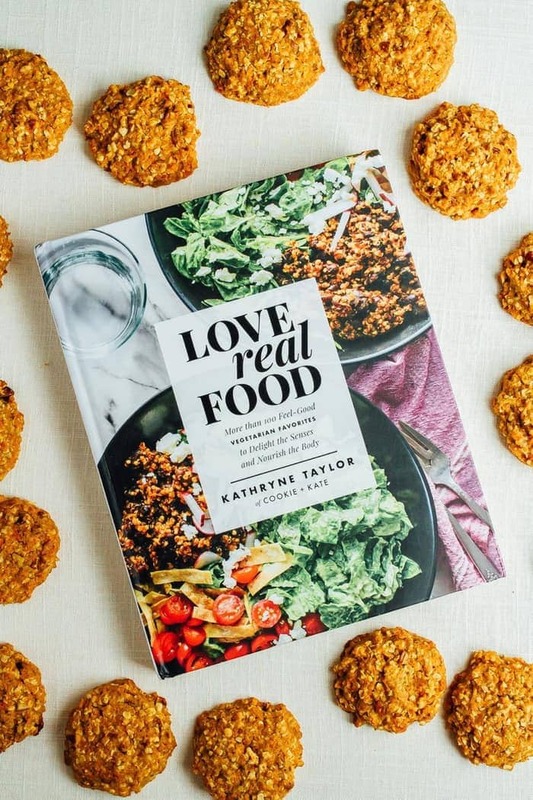 Lucky for me, my friend Kathryne of the popular blog Cookie and Kate just released her first cookbook, Love Real Food which happens to have a carrot cake breakfast cookie recipe in it. Imagine my surprise when I saw this recipe while flipping through the breakfast section. I immediately knew it’d be the first one I’d try… even before trying some of the salad recipes, which all look amazing btw. I already have the Moroccan Roasted Carrot, Arugula and Wild Rice Salad on my must-make list. A little more about Love Real Food. It has over 100 vegetarian recipes and there’s a large, gorgeous photo for every recipe. I don’t know about you, but I’m a highly visual person and gravitate to cookbooks that have lots of beautiful photos like this one. The chapters are broken down into the following: intro, good morning, salads, soups, happy hour, let’s feast, sweet treats and extras. 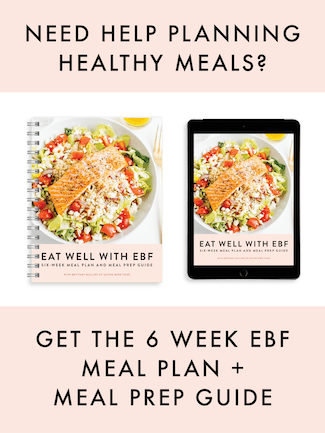 My fav extras are the foods for dogs section and five steps for creating an epic salad. Kathryne includes advice for making salads a full and satisfying meal that are pretty similar to the tips offered in my post about how to build a meal sized salad. There’s also four homemade dressing recipes included that all sound amazing. I’m going to be trying the tangy red bell pepper dressing ASAP. 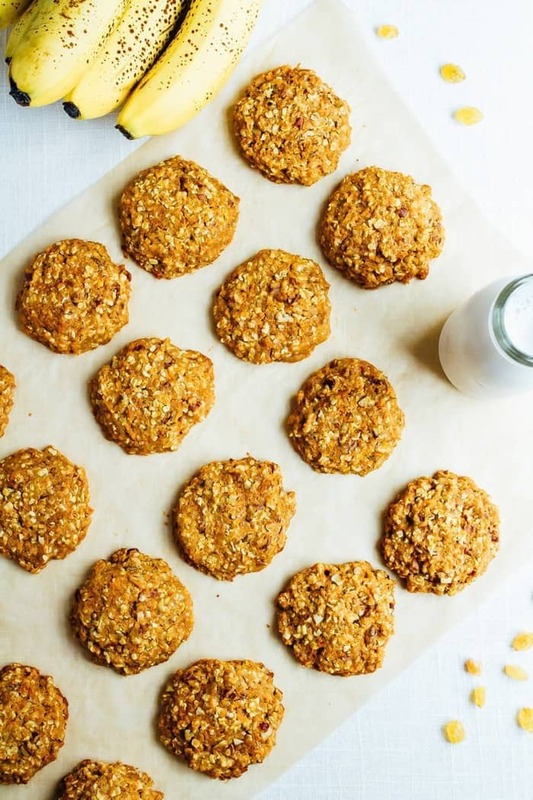 Alright so back to these carrot cake breakfast cookies. They’re hearty, filling and not too sweet. Plus, they’re portable — perfect for busy weekday mornings. 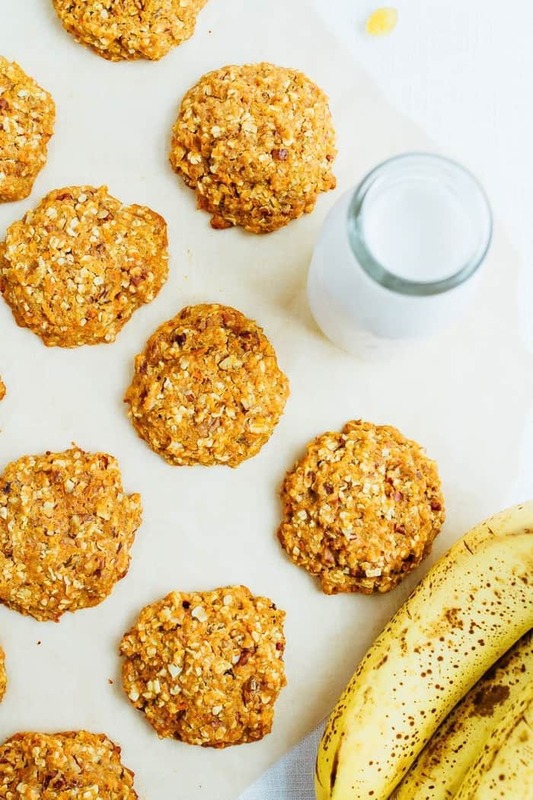 Make a batch on Sunday and have cookies for breakfast all week… doesn’t that sound awesome? 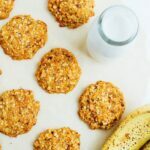 One fun tip that Kathryn mentions is that you can make these cookies with zucchini or apples instead of the carrots if you’d like. I know many of you probably have a ton of extra zucchini around this time of year so perhaps you can try the zucchini version and let me know how they turn out! Preheat the oven to 375F. Line a large rimmed baking sheet with parchment paper. In a medium bowl, combine the honey and coconut oil. Whisk until blended. Pour the liquid mixture into the flour mixture and stir until just combined. The dough might be rather wet, but don’t worry. Drop ¼-cup scoops of dough (an ice cream scoop with a wire scraper is perfect for this) onto the prepared baking sheet, leaving several inches of space around each one. 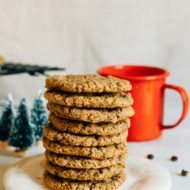 Use the palm of your hand to gently flatten each cookie to about ¾-inch thick. Recipe republished from Love Real Food with permission. Wanna grab a copy of cookbook? You can find it at the following retailers: amazon, barnes and noble and anthropologie. These look so tasty! I can’t wait to give them a try. Awesome!! I can’t wait to hear what you think of them, Emily! Thanks lady! They’re delicious and everything in Kathryne’s cookbook looks amazing! Yay!! Hope you love them, Liz. I just made these. They are delicious!! And egg free!! I will definitely make these often for a quick breakfast option. Thanks for a wonderful recipe! Amazing!! So glad you enjoyed the cookies, Kimberley. This is a great on-the-go breakfast! Can’t wait to try this! Thanks for sharing! This looks awesome! Can’t wait to try this! Thanks for sharing! Amazing recipe! Can not wait to make one! Thanks Brittany! These look and sound amazing! Going to make NOW! Oh! yummy and looks great gonna give a try to this once,,, If we really start to have such health food in breakfast or any time during the day must gonna live healthier. Great, Thanks for the post. Just made these! Amazing! Soft, chewy, and delicious! I omitted the nuts and added 2 scoops of Vega protein & greens powder. I may have doubled the raisins too, haha. They turned out perfectly! I’ll make a double batch next time so they last longer! Yay!! So glad you enjoyed the cookies, Laura! If I wanted to make these Gluten free what flour would you suggest? Coconut flour? Hi Sarah. Would use an all-purpose gluten-free flour mix instead of the whole wheat flour. Bob’s Red Mill makes a great one! These were delicious – soft, chewy and lots of good carrots. I used whole oats cause that’s what I had and turned out yummy. Thanks for the recipe. These could be a habit. I’ll have to make some for my neighbors. They love when I bake for them. 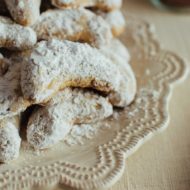 These cookies are absolutely delicious and are very hard to resist. I had to put some in the freezer and give a couple to a friend to try, to keep myself from eating them all too quickly. They are very filling and healthy. I plan on taking them for a snack during a round of golf, as they will be just the trick to renewing my energy half way around. Your recipes are always inspiring, and I really appreciate the way you share them and your knowledge with us. You help us more than you know! Sincere thanks.